In today’s society, much emphasis and value is placed on eye contact, which is considered as a sign of courtesy, attention and interest, forthrightness, honesty, and confidence. One’s own eyes are always drawn to the eyes of another in most human interactions, and they are often the first significant point of contact between people. Eye make-up emphasises the eyes, especially if they are a person’s best attributes. Cosmetics improve or visually “reshape” the appearance of less than ideal aesthetic aspects of eyes, such as puffiness, dark marks or circles, or tired looking eyes. Although professional make-up artists’ training is far more extensive than learning only the basics, there are nevertheless a few basic tips that are relevant to all eye make-up applications – by you and a trained make-up artist. Dab and blend concealer that is similar to skin’s natural colour below eyes, using the fourth fingertip, which has the lightest touch. Dot and blend eyelid primer on the upper lid to ensure that eye make-up lasts, without building up in the creases. With an eyeshadow brush, apply a lighter eyeshadow to the upped lid and very lightly, on the brow bone beneath the eyebrows. Add and blend a medium shade onto the lid, followed by a darker eyeshadow, blended into the eyelid crease with upward/outward gentle strokes. Lightly pencil eyebrows or use an eyebrow powder. 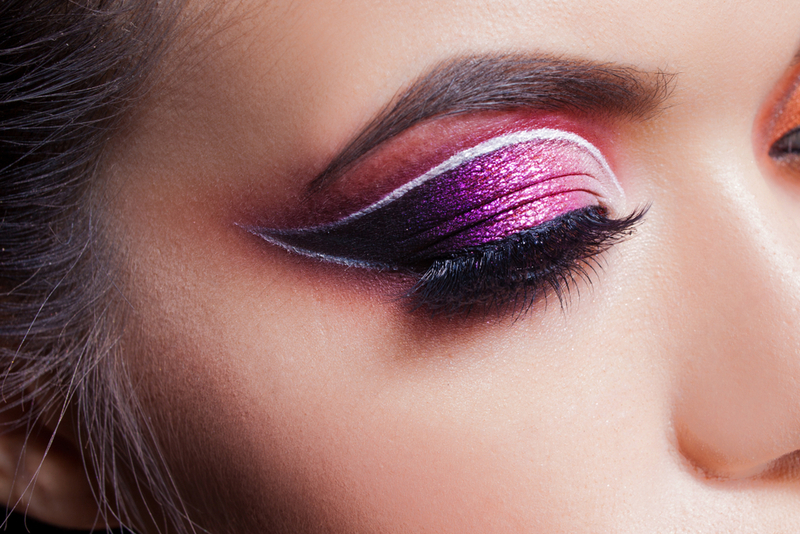 Apply eyeliner close to upper lash line, and use an eye pencil or blended eyeshadow on the lower lids, if required. Dot and blend a light colour at the inner corners of eyes to give them that “pop” effect. Curl upper lashes for a wide-eyed look and apply mascara. Of course, there is another ideal solution to learn all about eye make-up and its application – like a pro. Face to Face Beauty and Make-Up Design School is well-known for the wide range of professional courses we offer. However, if you are not intent on following a career in the beauty field, but want to learn about (eye) make-up from the best, why not enrol for one of our modular short courses that include day, evening, bridal, and special occasion make-up?